Christmas shopping can be a huge pain, and often results in a lot of stuff that your loved ones might not even want or need. If your family and friends are anything like ours, they’re probably already trying to get rid of stuff, and don’t need more of it laying around. Portraits make a perfect substitute for stuff. Portraits are an experience that gets better in your memory, and the images you take away from a portrait session live with you and grow in meaning forever. Portrait sessions, hands down, make a better gift than a cheap vacuum cleaner or a TV that will be obsolete before next Christmas. 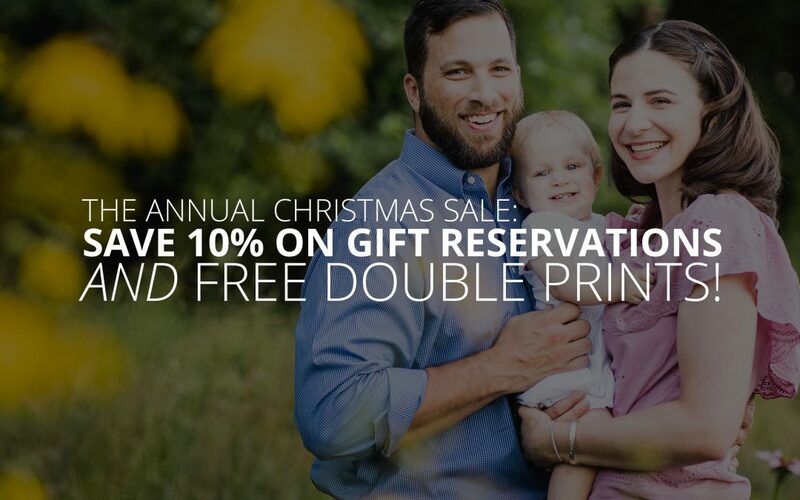 That’s why between now and December 31st, we’re offering 10% off all gift reservations, and including double prints on all portrait session packages! Come to think of it, maybe you’ll want to keep this reservation for yourself! Whether given as a gift, or used for your own family later in the year, a reservation with Petruzzo Photography lets you lock in a great deal and use it when the weather and the family is ready! Requirements: Reservation must be paid before December 31st. Cannot be combined with other offers. Not valid with existing gift certificates. 14 day minimum waiting period before gift reservation may be redeemed. Reservation redemption requires a signed portrait agreement at the time of scheduling. Package details for gift reservations expire in 1 year. After one year, gift reservation converts to a cash credit towards our products and services. Promotion terms subject to change without notice. Photographer must be selected at the time of purchase. Learn more about our portrait services!